Been missing me?... I've been away taking a wonderful cruise to Alaska. 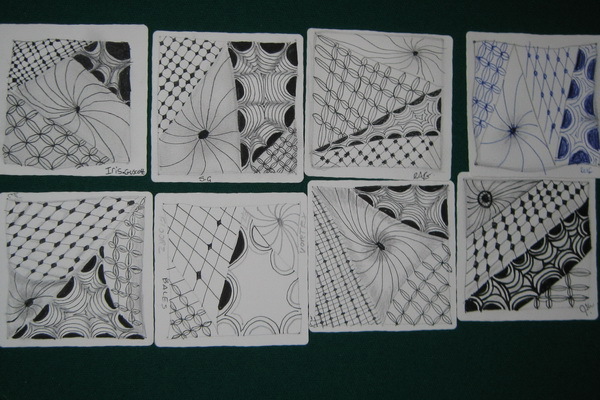 Of course I brought my zentangle supplies with me and met several people on the cruise that were interested in learning more about Zentangle. 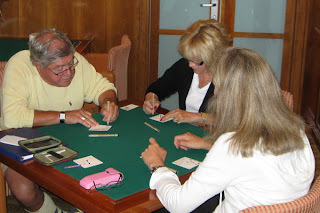 Since it is my passion to pass this on to others I offered a short intro class to a few people on the cruise. What a great way to pass the time while the ship is sailing. 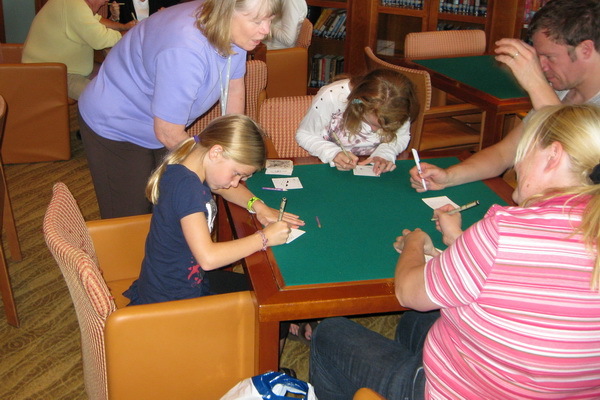 It was a free class, but seriously what a really great venue offering zentangle on a cruise ship. My students were from Canada and the UK, and were a variety of ages. All seemed to have a good time. Here are a few pictures from the class. Working two tables was a bit of a challenge, but ended up being fine. I had almost enough pens with me for everyone. The end result was wonderful! How wonderful! I'd love to cruise up the west coast sometime. So nice you also got a chance to share Zentangle. Passing on the passion! Love that! What a wonderful gift to share with your fellow passengers! 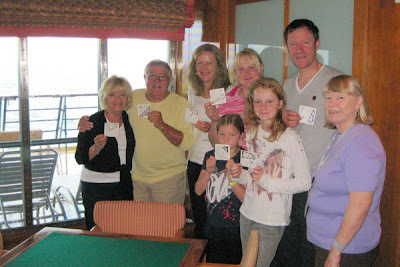 Those were some lucky people to get an unexpected Zentangle class on their cruise. I have just discovered your wonderful site. I would love to receive email updates but I cannot see where to sign up for them. Do you have that on your site? I am a complete beginner, but I can remember doodling in school many years ago. I never knew until recently that it is a wonderful art form.